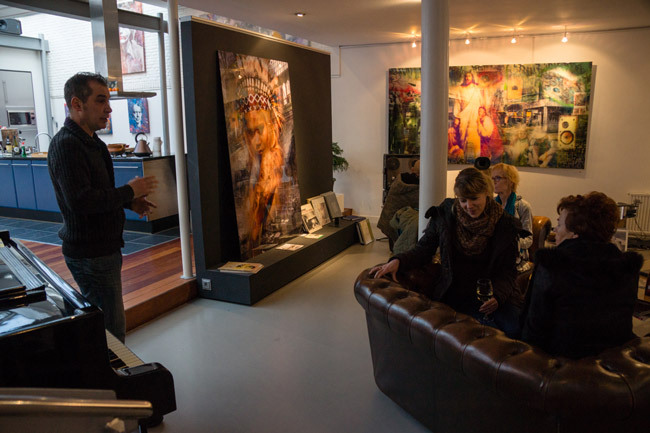 It must have been a nice event at RITSART In Maassluis: Live Music, Art, Recordings and reproduction of the recordings. Amazing. The only thing I can suggest is to have a look at the pictures of the event, and if You understand Dutch, You are in advantage to me. Here our dedicated page. Lots of friends there discussing about Analogue and listening for exceptional pieces of music on old style sources: Tapes, Turntables and so on. And here our news for the event. 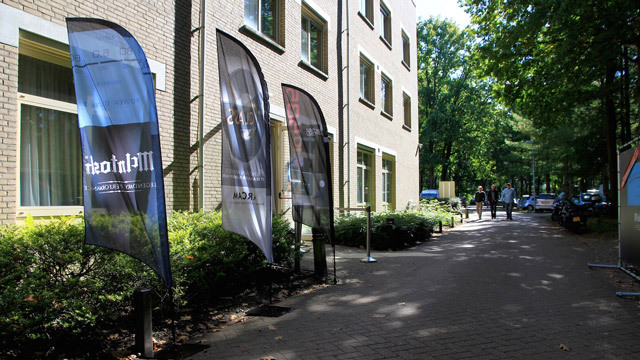 In Leeuwarden, Holland, there the Nationaal HiFi Multimedia Event. Our distributor Music2.nl participated. Here You can access the Facebook page event for the more up to date information. Small set-up this time, but very nice sound! Also introduction of the new Octave V110 SE with adjustable damping factor! The most beautiful part is to have a turntable matching the loudspeakers. It is something that only the cooperation between us and Dr. Feickert can deliver! Playing it is a Woodpecker. 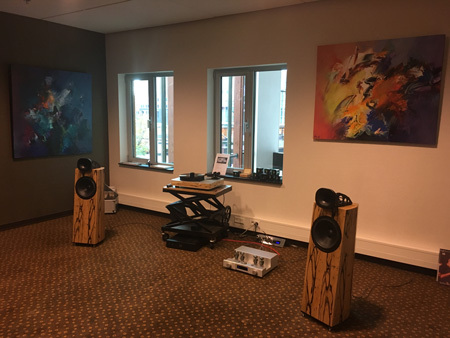 - "absolutely the best sound if the show"
- "finally a set-up that sounds as it should be"
We had about 4000 visitors in total, think they all came to our room and, well, it was SO crowded in the room that it became almost impossible to do a demo at all!! 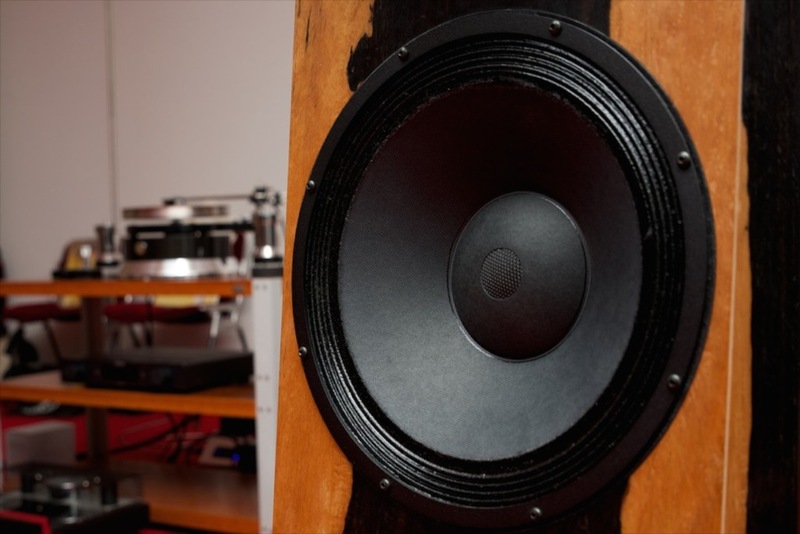 He is the most ''analogue'' focussed distributor in the Netherlands and he knows something about High-End Audio, Music and how this should be presented. After years of co-operation with mentors A.J. 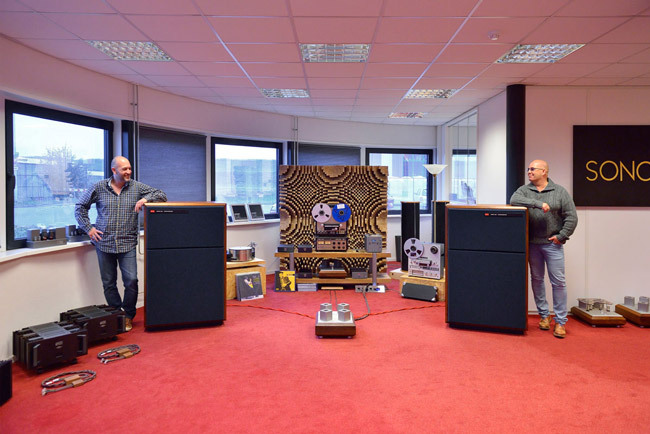 van den Hul, Mr. ''Pluto Audio'' Eddy Driessen, Thomas Blumenhofer and Octave Audio's Andreas Hofmann we bring you a complete analogue representation using turntables, tube amplifiers and horn-loudspeakers. The pure and dynamic presentation of music which brought to you has become a reference for many and can be seen as Music2's trademark. 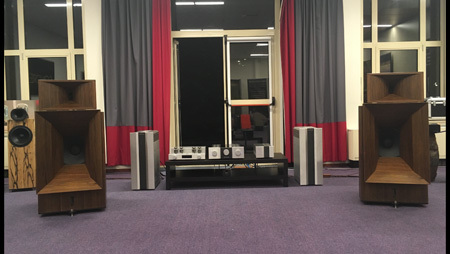 In Room 40 during the X-fi Audio Show 2015 they played Blumenhofer Acoustics, Cammino, Dr. Feickert Analogue, Octave, Ikeda Sound Labs, Koetsu, Pluto Audio, Reed, Sonore AC, van den Hul and many, many more. The new Octave V80SE has been presented and played the master at the show, here You can enjoy more pictures of the 2 days event. 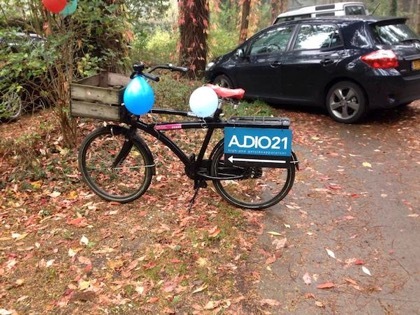 "The 12th October, Audio21 in Wapenveld NL held their vinyl-party. In three listening rooms, three sets, the first Gran Gioia with the new preamp of Sonore AC, in the second the FS2 ‘patchwork’ which is probably the most special pair of the world, also with the amps of Sonore AC. The third listening room was filled with the fun13, amp of Pathos Acoustics. And of course vinyl was always the source; Pluto and Dr. Feickert were ‘singing’. Outside in a tent, the local vinyl store showed their new stock. 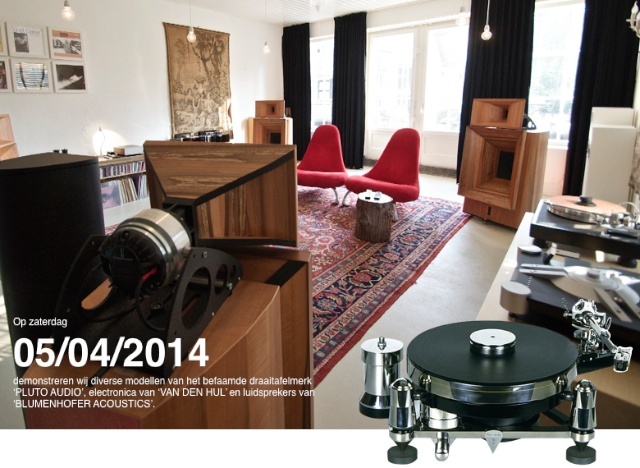 About 150 people came to this charming event, in the most charming hifi-shop of the Netherlands. Next year, the first weekend of may, the second edition of the ‘Vinylfuif’. The word ‘fuif’ is difficult to translate… an other word for ‘party’ which was used in the 80’s." 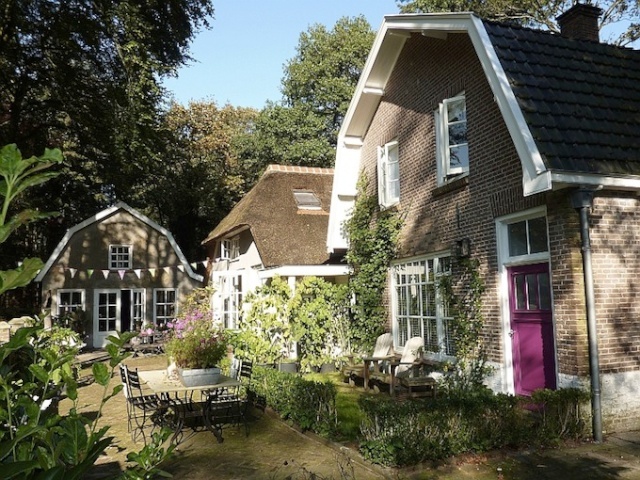 "I drove to the south of Holland with the gear, to let hear a group of people (about 40 during the day) the difference between the ‚standard’ Pluto motor and the special ‚Sonore’ motor. Using the FS2. I am the very.. big tall guy, 10th photo, with the white shirt at the left"
"Yesterday they were flabbergasted by the FS2’s. Over a 1000 m3 of room (21 by 10 by 5 meters) and a real full range sound! They keep amasing me..."
The whole setup was based on Sonore AC gear using our Genuin FS 2 as a front end, the patchwork one, and according to the words of Mark and what he is doing in these days, it worked out to be a really successful event!! Of a to me well known recording from Holly Cole the tracks "Be Careful It’s My Heart" and "Life Is Just A Bowl Of Cherries" belong to my personal favorites of the LP version. With the Gran Gioia the playback is fast and wide open. Very transparent but not to an unattractive analytical level. As soon as more instruments join the piano the created harmony justifies the price level of this system. The show went great! Lots of visitors, great sound, even AJ (van den Hul) participated personally. René van Es took the pictures (now in the gallery) and will write a show report of the day. It was the first show ever worldwide with 4 Pluto turntables. We played with the Gran Gioia's and the Genuin FS 2's and for the first time with a complete van den Hul amplification set-up! All the Plutos played with the new Crimson cartridge from van den Hul. Set-up 1: Gran Gioia with Pluto 10A turntable, 9a tonearm (Cammino wired) and vdH Crimson card, VdH Grail SB (Holy Grail) phono preamp. 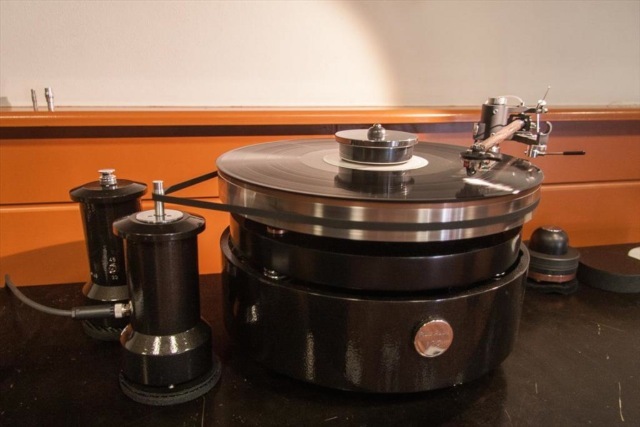 Pluto 12a turntable, Reed 2A tonearm, vdH Crimson card and vdH Grail phono preamp, vdH Emerald pre- and Excalibur mono power amplifiers, vdH 3T cabling. 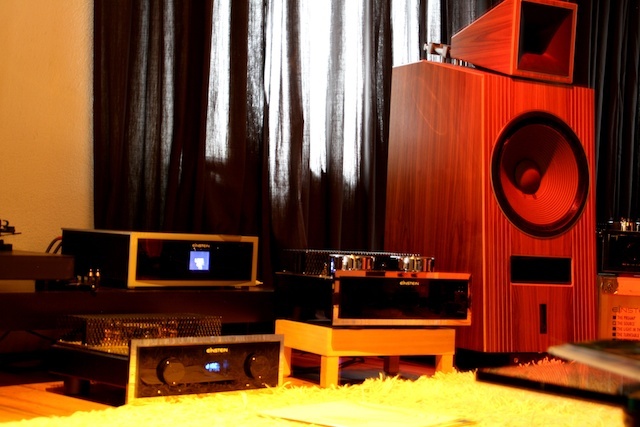 Gioias in a static setup with Pathos amplifier and a Pluto 12A carbon turntable. Living room setup: Pluto 12 A carbon Cobra with Pluto 6 A tonearm, vdH Crimson card, Sonore AC pre and poweramplifiers, vdH Grail phono preamp and Blumenhofer FS2 loudspeakers. In Rotterdam Music2 presented, as usual a huge setup in 2 rooms. 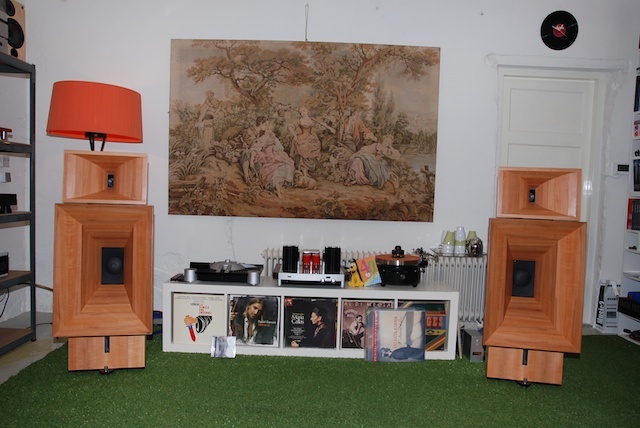 One room with Sonore AC and the Gran Gioia another with an Octave system and a Genuin FS 2. - When I arrived at the top-floor I could not believe what I was hearing. When closing my eyes I was listening to a live performance: High End at the Highest level! On HiFi Platform.eu at this link appeared the first review of the Tempesta 17. According to some people able to read Duch it is a really positive one. Enjoy Your reading!! 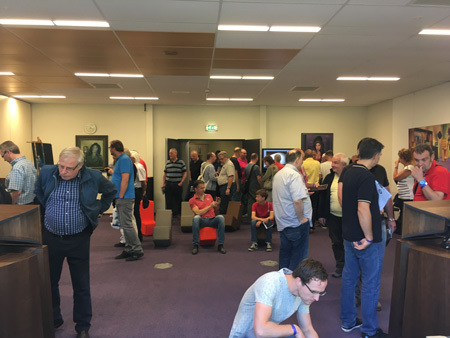 Here you find some pictures of the show at Audio-Life last week, this was the kick off of the "Tour of Beauty", a series of shows with Einstein-Audio products for the introduction of the "Tune" the new power amplifier. All this with the help of Blumenhofer and Dr. Feickert!